Since the invention of movable type around 1450, a significant part of all printing is of a religious nature. This continues in the 17th century, as illustrated by the closeup below from Duodecim Specula by Joannes David. This book full of moralizing messages was printed by Jan Moretus in Antwerp (1610). New forms of print, such as newspapers and banknotes, do start to appear however. The printing press, which had remained largely unchanged since its invention also gets its first recorded improvements. These are made around 1620 by Willem Janszoon Blaeu, a printer in Amsterdam. Blaue is best known as a cartographer, one of the best in an era that is often described as the ‘Golden age of cartography’. Bilingual dictionaries that translate words from one language (oftentimes Latin) to another have been popular since the invention of movable type. A Table Alphabeticall is the first English monolingual dictionary, created by Robert Cawdrey and intended for ‘the benefit & helpe of ladies, gentlewomen, or any other unskilfull persons’. The 120-page book lists 2543 words along with their brief definition. The words are sorted alphabetically, a concept that is so new to many people that the author feels compelled to include a short explanation on how this works. 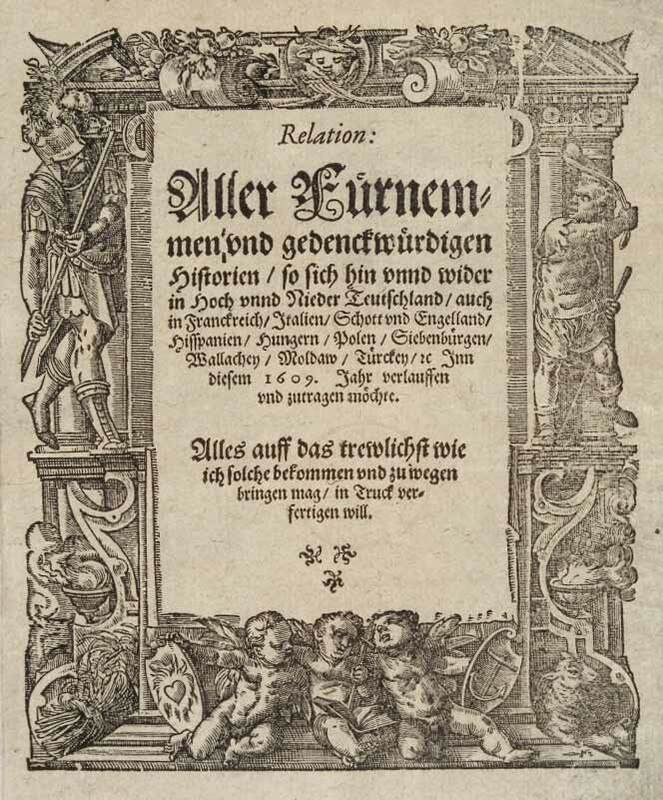 Relation aller Fürnemmen und gedenckwürdigen Historien, which is printed from 1605 onwards by Johann Carolus in Strasbourg, is considered the first newspaper. The page shown below is from a 1609 edition. That same year the first German newsletter, the Avisa, is published. In Antwerp Abraham Verhoeven publishes the first regularly illustrated newspaper. Nieuwe Tijdinghen (New Tidings but sometimes also called the Antwerp Gazette) is also the first paper to print a headline on the front page. Verhoeven sells his newspaper below production cost and ends up bankrupt. Meanwhile in Amsterdam cartographer, publisher and printer Willem Janszoon Blaeu improves the printing press by adding a counterweight to the pressure bar so that the platen rises automatically. 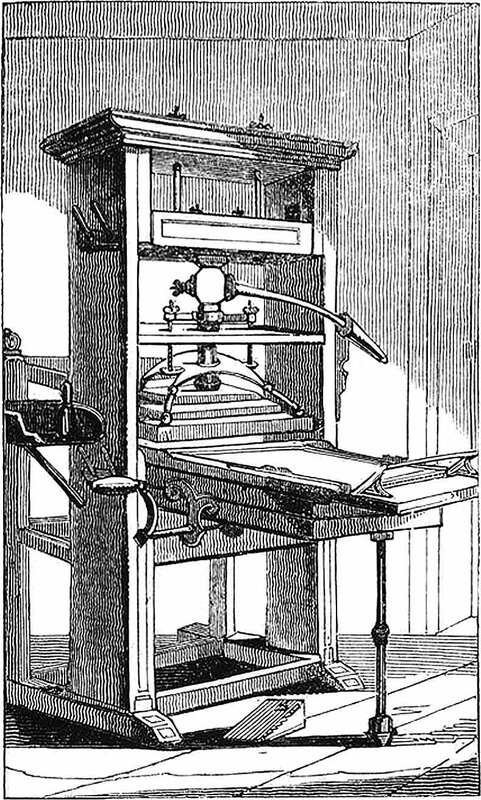 The revised design, called the ‘Dutch Press’, largely remains in use until Stanhope introduces an iron cast press. The image below is from a book of 1854. The Weekly Newes from Italy is the first news book to carry the date of publication on its title page. Plantin Press prints the first facsimile, a copy of the 16th century ‘Martyrologium Hieronymianum’ which gets engraved on copper plates. A facsimile is a reproduction of an old book, manuscript, map, art print or another item that is as true to the original source as possible. The word ‘not’ is accidentally left out of Exodus 20:14 in a reprint of the King James Bible. King Charles I and the Archbishop of Canterbury are not amused when they learn that God commanded Moses ‘Thou shalt commit adultery’. The printers, Robert Barker and Martin Lucas, are fined and have their printing license revoked. The King orders all bibles to be destroyed but eleven still exist today. This version of the Bible is referred to as The Wicked Bible and also called the Adulterous Bible or Sinner’s Bible. Due to political and cultural developments the Frankfurt Book Fair is eclipsed by the Leipzig Book Fair. Leipzig remains dominant until 1949 when the Frankfurt Book Fair takes over again. In Paris, the Imprimerie Royale du Louvre is established at the instigation of Richelieu. The first book that is published is ‘De Imitatione Christi’ (The Imitation of Christ), a widely read Catholic Christian spiritual book that was first published in Latin around 1418. In 1640 the Bay Psalm Book becomes the first book printed in British North America. Only eleven copies are known to exist from the first edition, one of them getting sold for $14.2 million at an auction in 2013. Ludwig von Siegen invents mezzotint, a technique to reproduce halftones by roughening a copper plate with thousands of little dots made by a metal tool with small teeth, called a ‘rocker’. The tiny pits in the plate hold the ink when the face of the plate is wiped clean. 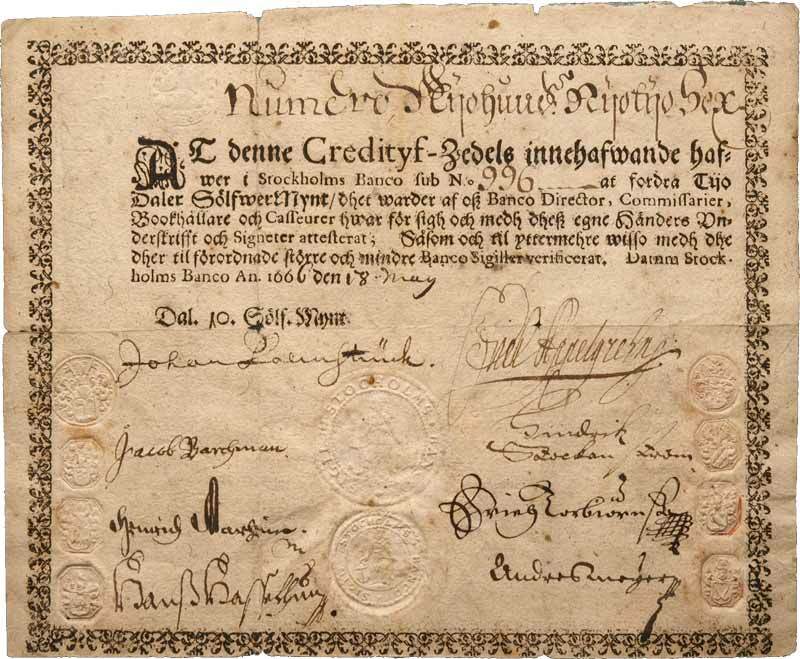 The first European banknotes are issued in Sweden by Stockholms Banco, the precursor to Sveriges Riksbank – the central bank of Sweden. Each note was hand signed by 16 prominent and trustworthy officials to overcome objections that paper money would lead to the downfall of the Swedish monetary system. Joan Klencke create an atlas measuring 1.78 by 1.05 meter. It remains the largest atlas of the world until 2012 when the Earth Platinum atlas is published. A group of Dutch merchants donate the Klencke Atlas to King Charles II of England as a gift for restoring the monarchy. Joan Blaeu, son of Willem Janszoon Blaue, publishes the most expensive printed book of the seventeenth century, the Atlas Maior. The Dutch version consists of 9 and the French version of 12 volumes. 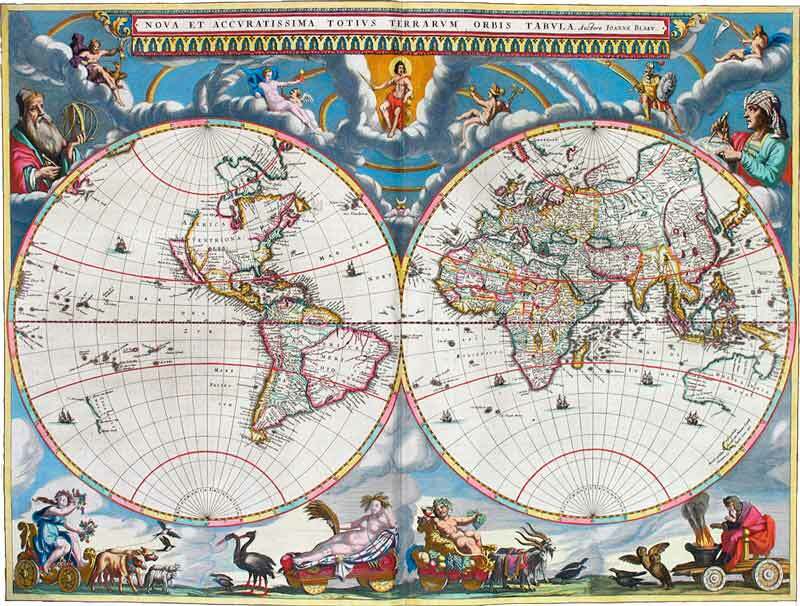 The richly decorated atlas contains eleven volumes, 600 double-page maps and 3000 pages of text. The most expensive colored edition cost around $ 40,000 in today’s money. Erbauliche Monaths Unterredungen is a German literary and philosophy magazine, created by theologian and poet Johann Rist. It is published between 1663 and 1668 and shows there is a market for regularly appearing publications that target readers with a specific interest. Soon similar literary journals appear all over Europe. 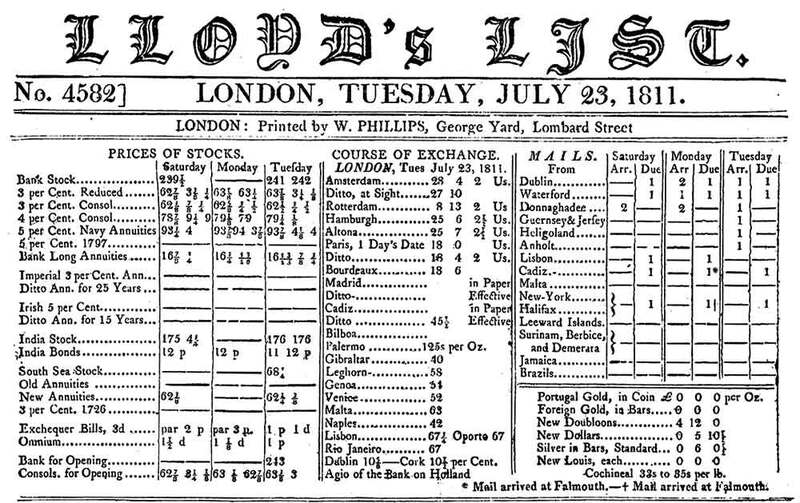 Lloyd’s News, published in 1692, is the forerunner of Lloyd’s List, a journal containing maritime news. It is one of the world’s oldest continuously-running journals. The example below is from 1811. Issue 60850 from 2013 was the last one to appear in print. Since then it has become a digital publication. The first women’s magazine, The Ladies’ Mercury, is published in 1693 in Britain. The first American paper mill is established.